Quakers in Britain have committed ourselves corporately to the goal of becoming a low-carbon community, to being a people who live increasingly in harmony with the order of creation. Minute 36 of Yearly Meeting 2011 asserts that this commitment is consistent with our historic testimony. I want to argue that, like most religious traditions, the Quaker record in caring for the creation has been a mixed one but that, despite this, at the heart of the earliest Quaker experience can be found the seeds of a creation spirituality that has direct relevance to the urgent challenge of ecological sustainability we face today. As a faith community, it is difficult to avoid confronting the accusation that religion is fundamentally part of the sustainability problem. Many of the world’s religions have displayed, in one form or another, a distinct ambivalence towards the physical creation. On the one hand, they have produced disciplined individuals and communities who have rejected materialism, lived simply and trod lightly on the earth. On the other hand, they have devalued the creation, either intentionally or unintentionally, by giving priority to a spiritual form of existence in which the physical world plays no part. Eastern traditions have tended to focus on the need to escape from the cycle of death and rebirth, whereas western traditions have been preoccupied with heaven as a spiritual destination, and with the apocalypse as the destruction of the physical world. Such a mindset can have quite negative implications; if we are ultimately ‘going to a better place,’ why should we care about this place? Being rooted in Christianity, Quakerism inevitably needs to engage with the legacy of this religious tradition. Because of its long-standing status as the established religion of empire and nation state, Christianity has been used to uphold and legitimise dominant social and economic structures. During the past 300 years this has included support for the development of industrialisation and capitalism, which have had such a far-reaching impact on the natural world. In particular, the biblical account of the creation in the Book of Genesis has been used to justify human exploitation and control of the rest of the natural world. This interpretation argues that God granted humans ‘dominion’ over the creation and commanded them to ‘subdue’ the earth (see Genesis 1: 26-28). The concept of human stewardship of the creation has also developed largely as a result of such a reading of Genesis. Within medieval European societies a ‘steward’ was an official appointed to represent a ruling monarch in another country, often with a mandate to govern it in the monarch’s name. Do we really regard ourselves as God’s appointed officials on earth? From an ecological perspective, there are a number of serious problems associated with the traditional understanding of dominion and stewardship. It implies that humanity somehow exists outside and above creation, rather than being fully integrated within it. It asserts that humans have a divine right to control and exploit the creation for their own benefit. Finally, it assumes that humans have both the necessary power and knowledge required to effectively manage the incredibly complex system we call creation. Similar issues emerge and the same sort of ambivalence towards the creation can be observed when we consider the Quaker story. Confidence in the power of the Spirit to transform humanity has been an essential characteristic of the Quaker movement from the start. Ours is a faith that asserts the real possibility of living in the kingdom of heaven here and now. As a result, rather than seeking to free ourselves from the bonds of the physical world, Quakers have tended to stress the goodness of creation and have paid less attention to the idea of heaven as a spiritual destination awaiting us after death. The emphasis on plainness and simplicity in Quaker testimony has reflected an experience of spiritual transformation that turns our attention away from the ephemeral and towards the things that are eternal. This, in turn, has produced a wariness of extravagance, unrestricted consumption and excessive busyness. Quaker compassion for animals and opposition to animal exploitation and cruelty has been a long-standing concern. It is visible in the very earliest Quaker witness in the mid-17th century and continues today in the work of groups such as Quaker Concern for Animals. Finally, our current concern for sustainability is consistent with historic Quaker witness and maintains continuity with earlier concerns. It seems clear to me that these aspects of Quaker testimony are inextricably linked to our belief in both the fundamental goodness of creation and in the universal human potential, when empowered by the Spirit, to turn to the Light and away from darkness. Although there is much in Quakerism that is creation-affirming, we must not let rose-tinted spectacles blind us to those aspects of our tradition that represent more ambivalent attitudes towards the creation and less environmentally-sustainable practices. Despite the strongly creation-affirming aspects of Quakerism, we must also recognise the influence of spiritualist and Gnostic thinking among some Friends. This sort of dualistic thought views the spiritual realm as eternal, incorruptible and good, and the material realm as temporal, corruptible and evil. The early Quaker use of dualistic-sounding binary terms such as inward/outward, light/darkness and spiritual/carnal may be interpreted in this way and can lead to a spirituality that seeks liberation from the material realm. We also have to come to terms with a legacy that includes the significant role Quakers played in the western industrial-capitalist and scientific-technological project that has sought to subjugate the whole of nature for human use. In the eighteenth and nineteenth centuries, Quakers were pioneering figures in the development of industry, banking, transport, commodity production, science and medicine. In any list of ‘famous’ Quakers you will see the names of prominent merchants, bankers, ironmasters, industrialists, botanists, naturalists and doctors. We can legitimately point to the positive influence of Quakers in terms of business ethics and philanthropy, but it is not possible to entirely disassociate ourselves from the part Quakers have played in the formation of social, economic and political structures that have subsequently proved disastrous for the health of eco-systems and the well-being of animal species. 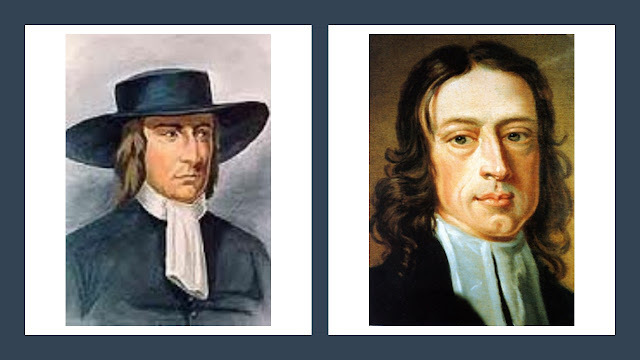 In my next article I will attempt to describe a fascinating aspect of the early Quaker movement that has, until recently, remained hidden and unrecognised by Friends. It involves a radical vision of the order of creation and the human place within it that has the power to inspire and motivate us today as we grapple with what often appear to be insurmountable challenges. As part of the process of spiritual transformation, many early Friends experienced a new and exhilarating sense of being in unity with the whole creation. They became ‘friends of the creation’.